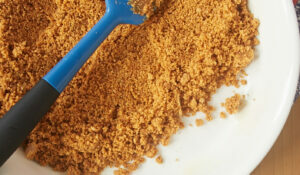 I think cake mixes are one of the best baking shortcuts we can have in our arsenal. I don’t usually bake them straight from the box, but they are a great starting point for many delicious desserts. I’ve shared with you before that my mother was all about cake mixes. Other great bakers in my family used them, too. The only brand they would even think of using was Duncan Hines. So, I guess it’s not a surprise that I’m no exception. If you’re a cake mix fan, too, then you’ll enjoy some of my favorite recipes that start with a cake mix. 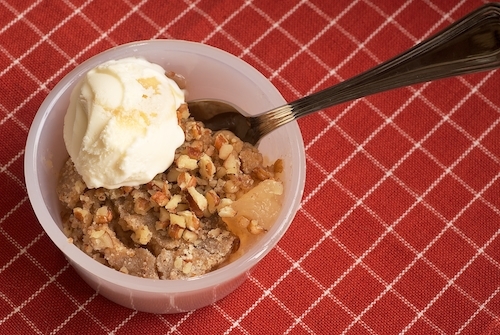 I’ve been making this Apple Pecan Cobbler for ages. It’s so very simple and amazingly good. Cake mix and a generous helping of pecans serve as the topping for this warm and gooey dessert. This lovely Butterscotch Marble Cake is simple, both in preparation and in flavor. 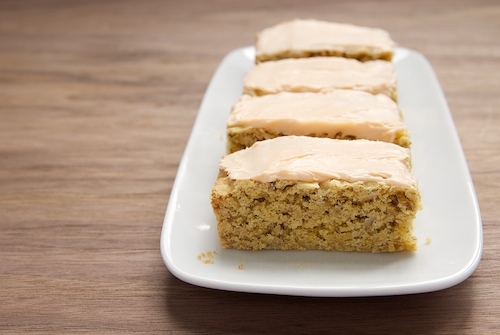 It’s not overpowering, so it makes for a great everyday kind of cake. When I was looking for cake mix recipes to share, I found these Chocolate Caramel Brownies that, honestly, I had forgotten. I made these many times, always to rave reviews. 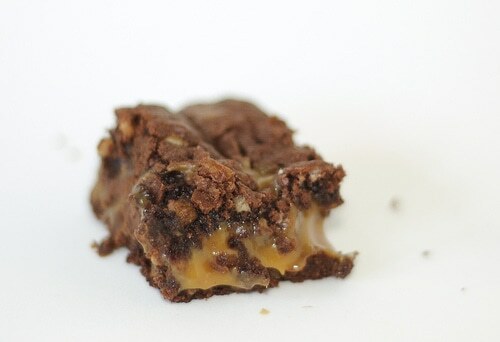 I love all that chocolate and gooey caramel! 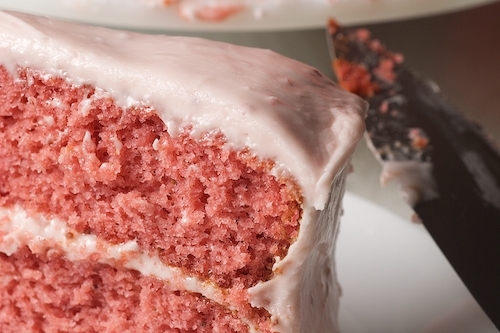 In contrast to that butterscotch cake, I must say that this Strawberry Cake with Strawberry Cream Cheese Frosting is all-out strawberry and sweet. There’s nothing subtle about it. Make this one when you can share. 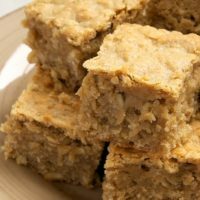 I recently shared these Oatmeal Cookie Bars with Peaches and Crème Frosting when I first became part of the Passionate Bloggers program. I love the contrast between the not-too-sweet bars and the sweet frosting. Perhaps my favorite cake mix recipe is for Chess Squares. 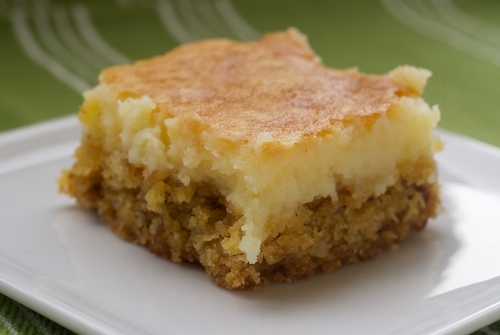 You might also know this dessert as Gooey Butter Cake. It doesn’t matter what you call them. They’re just plain good. Now, for some exciting news. 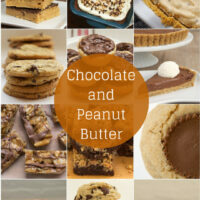 Earlier this month, I told you that I’d been asked to be one of Duncan Hines’ Passionate Bloggers. I am so excited and honored to be a part of their brand as well as a part of a great group of bloggers. As part of that program, I have been invited to visit the Duncan Hines test kitchen in September. If you’re thinking that sounds nice but asking what’s in it for you, then keep reading. This is about to get very exciting. Not only am I going to spend a fun weekend baking at Duncan Hines’ test kitchen, but one of you will be going with me! Okay, now who’s excited?!? One winner will win a 3-day/2-night trip to the Duncan Hines Test Kitchen in Parsippany, NJ from 9/20 – 9/22/2013. Duncan Hines will get you there and provide accommodations. Please read the Terms and Conditions in the Rafflecopter form for all the details before entering. Use Rafflecopter below to enter for your chance to win. By entering, you are agreeing to the Terms and Conditions listed below. You must be a U.S. resident and over the age of 18 years. The contest will close on March 28, 2013 at 11:59pm. The winner will be contacted within 48 hours and must reply to accept the prize by April 2, 2013, or another winner will be chosen. Please make sure to add bakeorbreak at gmail dot com to your address book so you won’t be sad to find a winning notification in your spam folder weeks later. Good luck! I hope to see you there! My husband’s great aunt made a strawberry cake that looked similar to that and I know that it had a cake mix as it’s base. Her’s had a Cool Whip based frosting though. I miss her cake! May have to try this one. Besides meeting you…you mean there are other reasons? It would be so cool to be in the Duncan Hines test kitchen baking with fellow bloggers and it’s not that far away from me. Maybe about 70 miles. I absolutely love baking and have been using more cake mixes and other things lately. I started out just baking cookies but would love to get some tips and learn some skills in the Duncan Hines kitchen to get a little fancier in my own kitchen! I’m an avid baker and think it would be so much fun to go to the DH kitchen and learn some tricks to making desserts even yummier! 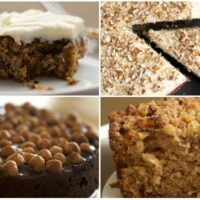 I love to bake and have been enjoying trying your recipes. 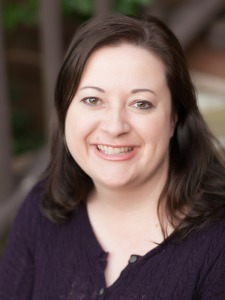 I got SO excited when I saw the chance to win a trip to the Duncan Hines kitchen w/ you. How fun! I would love to win!!! 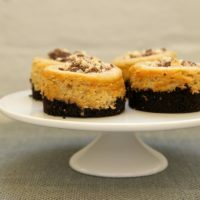 I love looking at food blogs, but it’s still new to me so I would like to meet you and other bloggers and find all the great recipes out there! 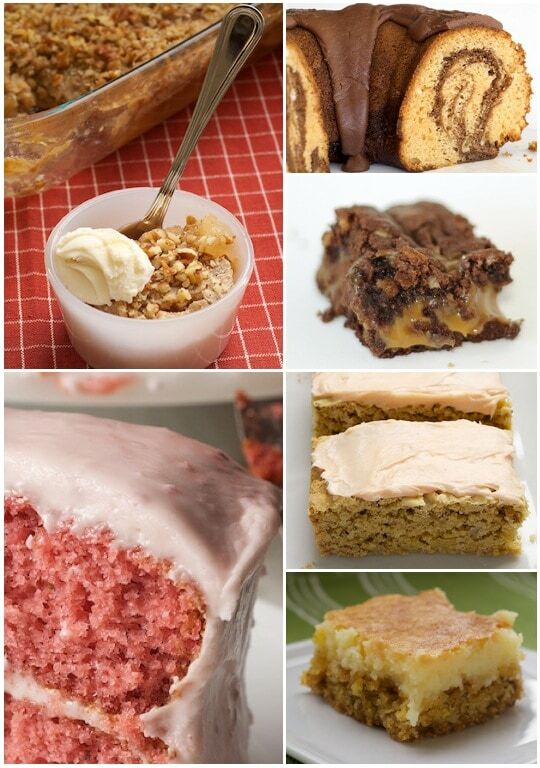 Plus, I love to bake and the Duncan Hines test kitchen would be awesome! I would love to learn some new tricks at the DH kitchen! And meeting all of you obviously!! Would love to show off some cooking skills and learn some new ones! i always wanted to be a recipe tester! and i love cake, of course. I love baking and have always wanted to attend someone’s test kitchen. This would be so cool. I would love to win this cool experience!! 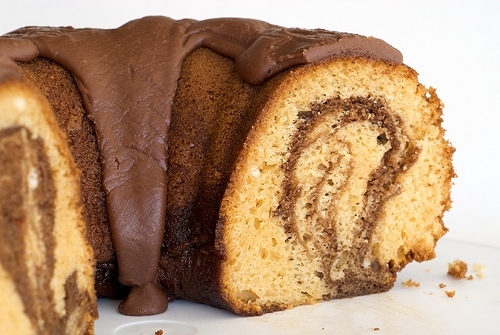 That marble cake looks especially delightful! I believe it would be such a great experience ! I couldn’t imagine anything MORE EXCITING than the opportunity to see the Duncan Hines Test Kitchens with YOU! I’m already so INSPIRED! I’ve been a fan of Duncan Hines for 50 years! The thought of being in a test kitchen, meeting professionals, fellowship with other foodies, and eating delicious goodies would be a dream come true! Thanks for the opportunity. I like the idea of starting with box mix and dressing it up! Going to the Duncan Hines would be super cool to see all the cake creativity in person. 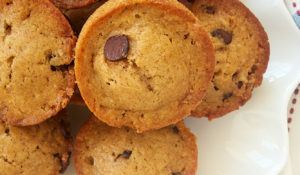 I’m a Jersey girl who loves using bake mixes – would be a dream come true! I’ve always loved to cook, but I’ve just discovered I love to bake, as well. This trip would be phenomenal to keep learning more. 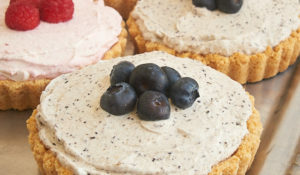 I love to cook-a little of this, a splash of that- but baking requires the measuring and preciseness that I lack so I LOVE a good box mix to aid me in my dessert preparation and still make me look like superstar! 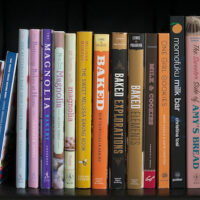 I love to bake and think it would be totally cool to see a test kitchen! I want to try all those recipes! Especially those caramel brownies! I love to bake! This would be so much fun!!! I’d love to win this to get tips and anything baking needs met by these wonderful people! I’m not a good baker or a cook and i’d love to learn! Would love to visit the test kitchen w/ you and other baking bloggers because it sounds like a yummy, creative, and fun learning experience! I would really like to get a look at the ingredients being used to create the various products. I keep away from boxed products due to the many number of ingredients listed. I’m a huge fan of Duncan Hines. I would love to learn their tricks to baking. DH has been helping people bake perfect cakes for so long, I bet there is so much that can be learner in their kitchens! My mom made DH cakes for us all the time. But somehow she would substitute mayonnaise for something in the mix. She passed away last year, and I never asked her what she was doing when she did this. Have you ever heard of such a thing? The mayo substitution in a cake mix? I would really love to find this out. It’s something I dearly miss. Michael, I’ve never made a mayonnaise cake, but I believe I’ve seen it used instead of oil and eggs. 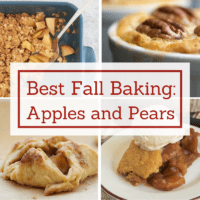 I would love to travel to the Duncan Hines Test Kitchen with you not only because I have a passion for baking and creating in the kitchen but also because my readers would love to follow my journey! It would be a dream come true to get to go to a test kitchen and play around! I’ve been baking with Duncan Hines a lot lately so I’d love to see the kitchens. Fun! Those all look so yummy! I love how you took the cake mix and turned it into something so good! I love cake mixes too! My grannie, UN agency may build something from scratch, developed an enormous love for this convenience product. you’ll conjointly use them to create cookies and bar cookies and breads. Can I make an angel food mix in some over pan than an angel food pan? You can try a Bundt pan, but a tube pan (angel food cake pan) will give you better results.